CFO Studio is accredited by the National Association of State Boards of Accountancy (NASBA) to issue CPE credits to CPAs. At live conferences and events, CFO Studio issues CPE Credits to CFOs and other senior finance executives who are also CPAs. CFO Studio will shortly offer CPE Credits through online events, further enhancing the value it delivers to CFOs. CFO Studio issues CPE Credits at no cost to its guests. Costs of CFO Studio conferences and events are underwritten by CFO Studio and its business development partners. Two CPE Credits offered at each of these dynamic discussion conferences held quarterly over dinner at great restaurants. Joseph Torella, President of HUB International Northeast Employee Benefits division, holds over 25 years of industry experience. He is responsible for the overall management of the Employee Benefits operation throughout HUB Northeast’s regional offices. Prior to joining HUB, Mr. Torella held a number of managerial and executive positions in the insurance industry and the consulting community. Most recently, he served as VP of Business Development with Savoy Associates, where he was responsible for overseeing a regional office and expansion of the firm’s footprint in the Northeast and Mid-Atlantic regions. Mr. Torella has been a continuing education instructor for the past 18 years and is a leading health care reform policy expert and distinguished speaker on topics such as consumer-driven healthcare, targeted wellness interventions, value/outcomes-based plan design and related healthcare trends. He continues to be well-published, having recently written a chapter in Engaging Wellness, an employer-based guide to implementing successful wellness programs. Mr. Torella is often featured in leading business publications. Recognize the financial impact of the ACA and how a CFO can both take control over the penalties and leverage the opportunities associated with the law. Demonstrate the importance of a 3-5 year employee benefits strategy in compressing healthcare costs, mitigating the associated trends and improving cash flow. Explain how restructuring the cost position of employer and employee (contribution optimization) can yield strong ROI and improved employee health and satisfaction. Determine what information and data should be collected, analyzed, synthesized and developed in a disciplined and consistent manner to improve financial and operational results. Bulletproof compliance to contain ACA exposure. Cancellation policy: CPE credits are available to actively employed CFOs who are CPAs attending this presentation at no cost. Because of this, there is no refund policy. CFOs may cancel their registration to attend this presentation any time up until the date and time of the presentation on March 17, 2016. Carla Krieman is a 30-year professional in Treasury Management. She has worked in Cash Management Product Management, Sales, Technical Consulting, Finance and also spent several years as a Cash Manager at an international trade finance organization, De Lage Landen Financial. During her years at De Lage Landen, her main responsibilities were to manage the cash and disbursement processes along with the operational banking relationships for the company. While Cash Manager, she led her Treasury and Accounts Payable teams to reduce costs, improve processes, automate payments and meet service level agreements with internal partners. 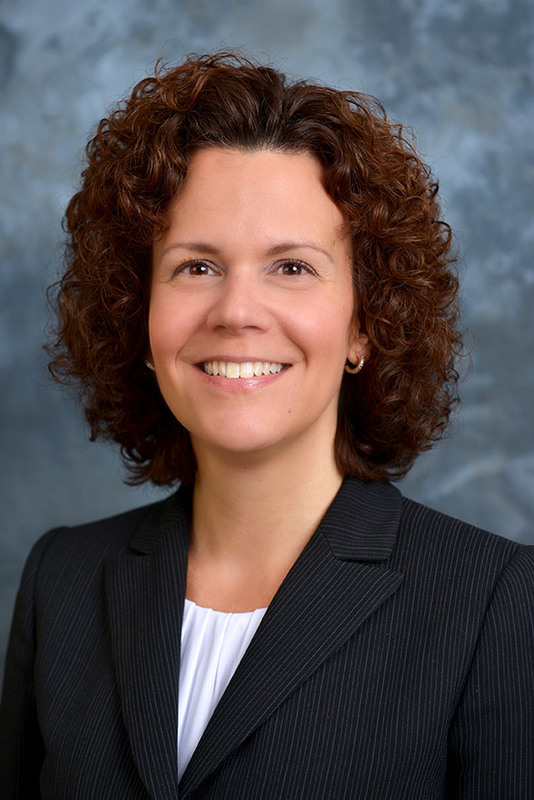 Carla is currently responsible for Treasury Management Sales in the Pennsylvania and NJ Markets for TD Bank. Carla has been a presenter at the Association for Financial Professionals and for the PA Banker’s Association and has a degree from The Pennsylvania State University in Business Logistics. Adrienne started her career as a corporate treasury practitioner and held senior management positions at Sharp Electronics Corporation and Prudential Financial, with responsibility for Treasury Operations, Accounts Payable and Accounts Receivable. She joined TD Bank in 2013 and currently manages the Corporate and Specialty Banking Segment for Treasury Management Services, directing the growth strategy for large Corporates, Corporate Real Estate, Asset-Based Lending and Dealer Commercial Services. Adrienne has presented at the NACHA Payments Conference and the New York Cash Exchange on the topic of corporate payment strategy with a focus on commercial card and e-payables. She holds an MBA in Finance from Seton Hall University and a BS in Spanish/Business Administration with Honors from The Pennsylvania State University. Interest rates have finally begun to rise. You’ve considered everything to best prepare your organization for this future. Or have you? Have you contemplated how rising rates could help unlock value trapped in your accounts payable (AP) and accounts receivable (AR) functions? The most progressive, best-in-class organizations are developing formal payment strategies to define optimal payment types, terms and the payments mix necessary to maximize returns. Attend this dynamic session, entitled “Strategic Payables” and hear subject matter experts Adrienne Terpak and Carla Krieman at TD Bank share their experiences and insights. Chris is a Partner in the Business Counseling and Compliance & Corporate Governance Teams at Nicoll Davis & Spinella LLP, where he brings his extensive experience, including as a current General Counsel and a Chief Compliance Officer, to assist companies with a wide range of legal and business issues. He specializes in ethics and compliance counseling; corporate investigations; complex tort, products liability and business litigation; product safety and risk management programs; employment law and litigation; and general corporate matters. He has served for several years as the General Counsel & Chief Compliance Officer of Agfa Corporation, a multinational manufacturing and technology company, where he continues to be responsible for all aspects of the company’s portfolio of legal and compliance matters. Prior to joining Agfa, Chris was the first Senior Counsel & Director of Risk Management for a global consumer electronics manufacturer, where he developed the company’s first corporate compliance program and managed an extensive array of product safety programs, product recalls, ethics-and-compliance work, and litigation. Chris has created and administered ethics-and-compliance programs and all of their components “from the ground up,” and conducted related investigations. His in-house experience is preceded by a dozen years of litigation experience at top national and regional law firms, representing large and small manufacturers in products liability, toxic tort, environmental and commercial litigation. CFOs are increasingly responsible for managing a wide spectrum of issues and functions at their companies, many of which have complex legal consequences. Attendees will hear about the challenges and opportunities associated with the 20 legal and compliance issues that are most important to CFOs in achieving their companies’ objectives. This presentation will be led by an in-house and Outside General Counsel & Chief Compliance Officer with significant experience in advising CFOs on such matters. What steps should you take as CFO to serve internal and external customers, partners, and beneficiaries? How are leadership and service to others related? What are the difference between serving internal versus external entities? What skills are required to be a service-minded leader? How will an evolving workforce affect a CFO’s ability to serve and lead? Cancellation policy: CPE credits are available to actively employed CFOs who are CPAs attending this presentation at no cost. Because of this, there is no refund policy. CFOs may cancel their registration to attend this presentation any time up until the date and time of the presentation on November 24, 2015. With the assistance of Bob Barry, CFO of Community Foodbank of New Jersey and Chair of the Tax Exempt Organizations committee, and Cheryl Marks-Young, CFO of Easter Seals NJ, and Committee Co-Chair, CFO Studio will host this Executive Dinner for this broad and important CFO group on November 24, 2015 at the Community FoodBank of New Jersey, 31 Evans Terminal Road, Hillside, New Jersey. At 4:30 PM, CFO Studio will host an afternoon of community service at the FoodBank followed by dinner and conversation beginning at 6:30 PM and ending at 8:30 PM. Cheryl will lead a discussion, entitled “Balancing Internal and External Customers, Partners, and Other Beneficiaries”. The CFO Studio Executive Dinner is an invitation-only event with individual seating reserved for each invited CFO guest. Cancellation policy: CPE credits are available to actively employed CFOs who are CPAs attending this presentation at no cost. Because of this, there is no refund policy. CFOs may cancel their registration to attend this presentation any time up until the date and time of the presentation on October 6, 2015. Cancellation policy: CPE credits are available to actively employed CFOs who are CPAs attending this presentation at no cost. Because of this, there is no refund policy. CFOs may cancel their registration to attend this presentation any time up until the date and time of the presentation on October 20, 2015. Preparing for Private Equity can be an incredibly challenging and rewarding event, both for the company seeking funding and for its CFO. As CFO, a large responsibility falls to you in preparing the pursuit, sourcing opportunities, evaluating alternatives, validating mutual interests and objectives, dismissing those that don’t fit, and recommending the best solutions. Attend this CFO Studio Executive Dinner and hear how you and your company can best achieve its objectives when Preparing for Private Equity. What steps should you take as CFO to prepare your company to pursue a private equity transaction? What information will be required in order to attract the interest of private equity investors? How should information by packaged and presented to private equity investors? How can you best protect your company in road shows and other communications? How can you determine which private equity investors do not fit with your company’s culture or business objectives? Cancellation policy: CPE credits are available to actively employed CFOs who are CPAs attending this presentation at no cost. Because of this, there is no refund policy. CFOs may cancel their registration to attend this presentation any time up until the date and time of the presentation on September 10, 2015. Every well-managed organization, whether tax exempt or for-profit is cognizant of the operational and reputational risks associated with the business they are in, those associated with partners, customers, clients, and others. In today’s tax exempt organization, especially those that rely on revenue from grants and donors, those very same risks are further amplified and can sound a death knell for the organization that is not keenly focused on identifying and mitigating its risks. Attend this two hour course to hear Bob Barry, CFO, Community Foodbank of New Jersey share his views and lead a discussion among CFO peers. Share your insights and experiences and gather intelligence from CFOs at other tax exempt organizations. Cancellation policy: CPE credits are available to actively employed CFOs who are CPAs attending this presentation at no cost. Because of this, there is no refund policy. CFOs may cancel their registration to attend this presentation any time up until the date and time of the presentation on September 17, 2015. We are pleased to announce the launch of the Tax Exempt Organizations Executive Dinner Series, hosted by CFO Studio. Time and again, CFOs at not-for-profits, government agencies, and educational organizations have asked us to provide to them, specifically targeted opportunities to share insights and knowledge, receive guidance and intelligence, and forge relationships with their peers. And, we listened! With the assistance of Bob Barry, CFO of Community Foodbank of New Jersey and Chair of the Tax Exempt Organizations committee, and Cheryl Marks-Young, CFO of Easter Seals NJ, and Committee Co-Chair, CFO Studio will host its first quarterly Executive Dinner for this broad and important CFO group on September 17, 2015 at the Red Knot Restaurant at the Galloping Hill Golf Course, 3 Golf Drive, Kenilworth, NJ. Wine will be served at 5:30 PM, with dinner and conversation beginning at 6:30 PM and ending at 8:30 PM. Bob will lead a discussion, entitled “Operational and Reputational Risk in Tax Exempt Organizations: Steps to Identification, Planning, and Mitigation”. The CFO Studio Executive Dinner is an invitation-only event with individual seating reserved for each invited CFO guest. Jeffrey Dale, Vice President and CFO of Federal Reserve Office of Employee Benefits will lead this topical discussion entitled “Talent Acquisition and Retention Strategies – Maximizing the Effects of Highly Valued Employee Benefits on an Evolving Workforce While Ensuring Data Integrity” on October 20, 2015 at Sparks Steak House, 210 East 46th Street, New York, NY. Join us for great conversation, high level networking, knowledge sharing, and some laughs, over a gourmet meal and fine wine. CFO Studio Executive Dinners are intimate invitation-only events where the most successful regional CFOs and select other C-Suite executives share insights, ideas, and experiences, and build valuable relationships. 10 CFO Studio Executive Dinners are held on various important topics throughout the year at some of the best restaurants in New Jersey, New York, Pennsylvania, and Connecticut. The CFO Studio Executive Dinner is an invitation-only event with individual seating reserved for each invited CFO guest. Curt Allen, CFO of Subaru of America will lead this topical discussion entitled “Millenials and Experience: The New Finance Paradigm – Balancing Diverse Employee Expectations in Maintaining a Dynamic Finance Department” on October 6, 2015, 5:30 PM EST at The Union League of Philadelphia, 1450 Sansom Street, Philadelphia, Pennsylvania. Join us for great conversation, high level networking, knowledge sharing, and some laughs, over a gourmet meal and fine wine. This executive dinner will be powered by promotional partners Bank of America Merrill Lynch and WithumSmith+Brown, PC. What steps would you have to take to prepare your company to pursue a transaction with private equity investors? How would you begin? What information would be required? How should it be presented, to what level of detail, and when? How can you best protect your company’s interest while achieving its funding objectives? 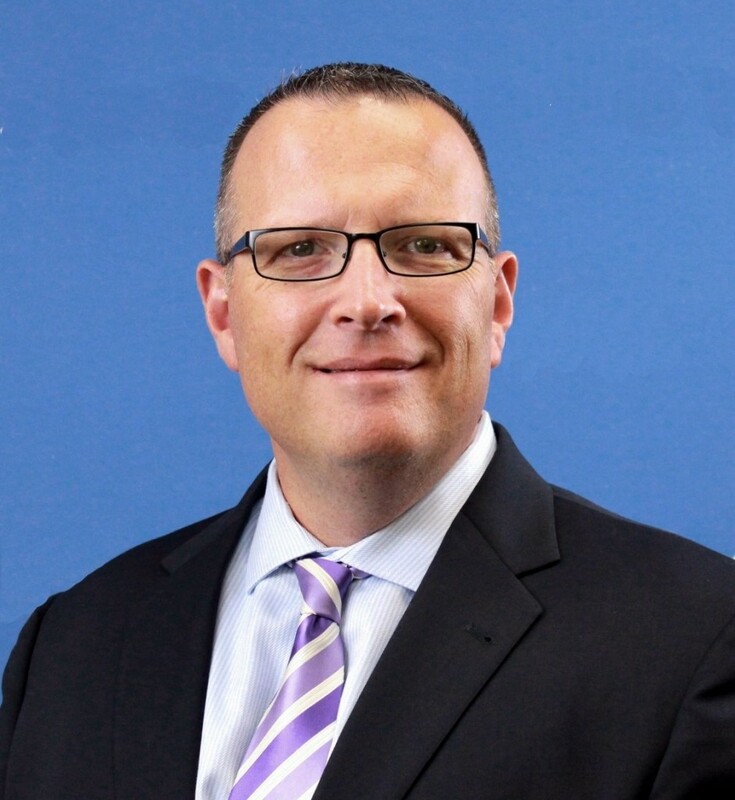 Join Luke McKinnon, Chief Financial Officer, Louis Berger, at the Middle Market Companies Executive Dinner, hosted by CFO Studio, on September 10, 2015, at Blue Morel, 2 Whippany Road, Morristown, NJ. Wine will be served at 5:30 PM, with dinner and conversation beginning at 6:30 PM and ending at 8:30 PM. Luke will lead a discussion, entitled “Preparing for Private Equity”. The CFO Studio Executive Dinner is an invitation-only event with individual seating reserved for each invited CFO guest. So, register now to reserve your seat.